M Clubs own Personal Trainer and Fitness Instructor Kevin Bennett reflects on the pros and cons of pre-workout supplements. Pre workout is quite possibly the most spoken about and most used supplement today, used by both gym goers and athletes. One of the main ingredients in pre workout is caffeine, the doses of which are quite high, the amount of caffeine in most of the popular pre workouts are anywhere from 150mg to 250mg per scoop. Some, not all, of these products even recommend taking two scoops per drink. One of the higher dosed products is 200mg per scoop and they recommend taking 1-2 scoops per drink. That’s a total of 400mg of caffeine in a single serving, an average cup of coffee is between 94mg to 100mg. the total recommended daily intake of caffeine is 400mg. This is without other types of caffeine you intake from known or unknown sources, these include energy drinks, fizzy drinks, fat loss pills, coffee, tea and pain relief tablets, caffeine can also show up in some strange places such as ice cream and even decaf coffee. A small study done with high level athletes taking high amounts of caffeine and carbohydrates after training had 66% more glycogen in their muscles four hours after finishing intense glycogen-depleting exercise than athletes who didn’t. In my opinion pre workout can be a good tool to use, if used as a tool and not something to rely on. If you’ve been training really intense for a few weeks and coming to the end of a training cycle, or to the end of a really tough week and you really need something to help you get motivated this could help. I would not recommend taking a full 400mg serving. Maybe half or less is all you need to get the energy to finish that last day or two. Also if you’re an athlete of any type, a kick of caffeine on game or race day could be a good way to push a little harder, provided it’s not deemed an illegal substance by the sport’s governing body. You should not rely upon pre-workout to get you to the gym every day or to get you through training. It is not a necessity. Too many people reply on this product to train. I’m hearing more and more that people are taking high brand pre-workout and it has stopped having an effect on them. From over use and there body is adapted to really high amounts of caffeine. All they want is a product with higher caffeine levels or taking more scoops of the one they have. You should never end up in this position. If you do you should cut back. Caffeine is the same as any other stimulant or drug, the more you take of the product, the less it will work, then the more you feel the need to take. People can develop dependence to caffeine, as previously stated, it can become addictive. Think about one of the first pros in the list, blocks pain to the muscles during training, also gives you extra energy and focus. This appears good but together it’s not quite as it seems. Everyone has a training limit for each day, let’s say 100%; the most highly motivated people may only get to 80-90% of this on a select day. With proper recovery and sleep the body will adapt and be ready to train in the next day or two. With pre workout and the effects stated previously, you could be pushing into the 100-110%. This may sound great but doing day after day, workout after workout, your body will not recover from this and could end in you taking time off for either injury or fatigue. If you do want a kick of energy before a workout, you could always try having a black coffee. You will get your caffeine kick also black coffee has other great benefits. But that’s another topic! 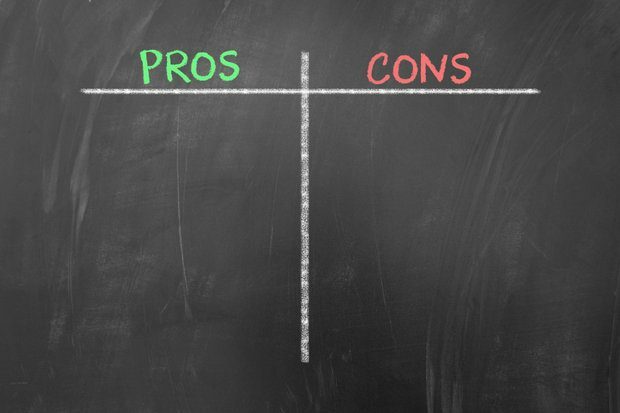 This is just a small look into pre workout pros and cons. If you are currently taking or thinking of taking pre workout, carefully research around the products you are considering.